The city's University District boasts two Miss Buffalo winners. 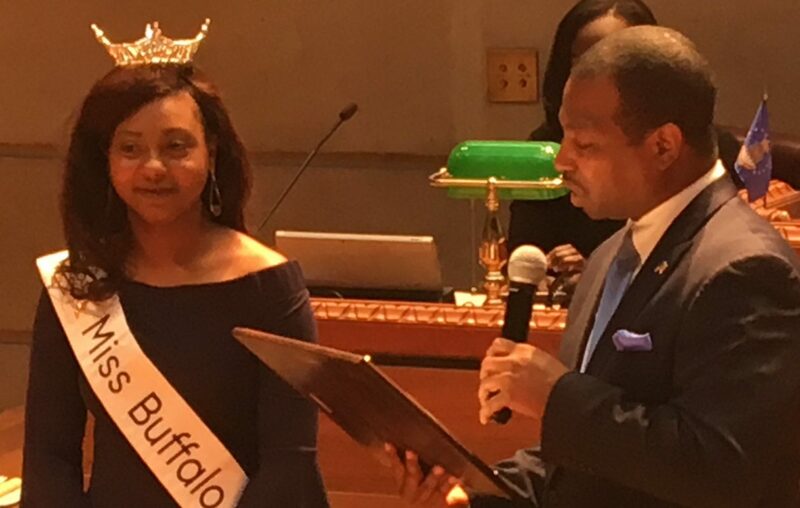 Taisha St. Jean, a legislative assistant for University Council Member Rasheed N.C. Wyatt, was recently named Miss Buffalo 2019 and will compete for the Miss New York title this summer. St. Jean, 23, competed earlier this month at Shea's Performing Arts Center against seven other contestants in the areas of talent, lifestyle and fitness, interviews and evening wear to become the organization's first ever Afro-Latina winner, she said. St. Jean also won a $5,000 scholarship which will help pay down her student loans. She was crowned by her friend and predecessor, Nina Zesky, who started working for Wyatt as an intern shortly after becoming Miss Buffalo 2018. "It's great that Nina crowned me," St. Jean said.